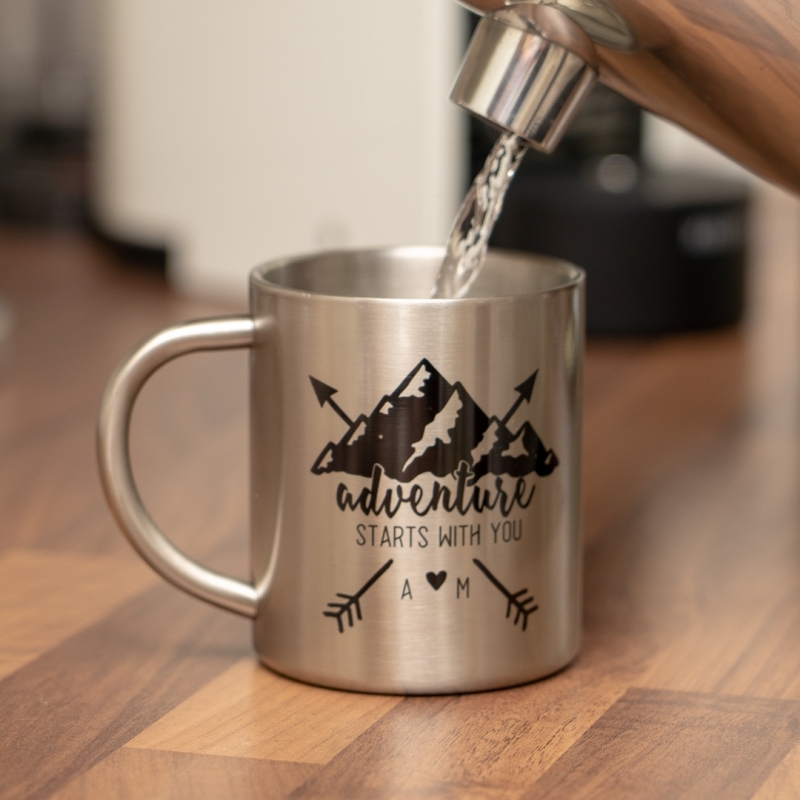 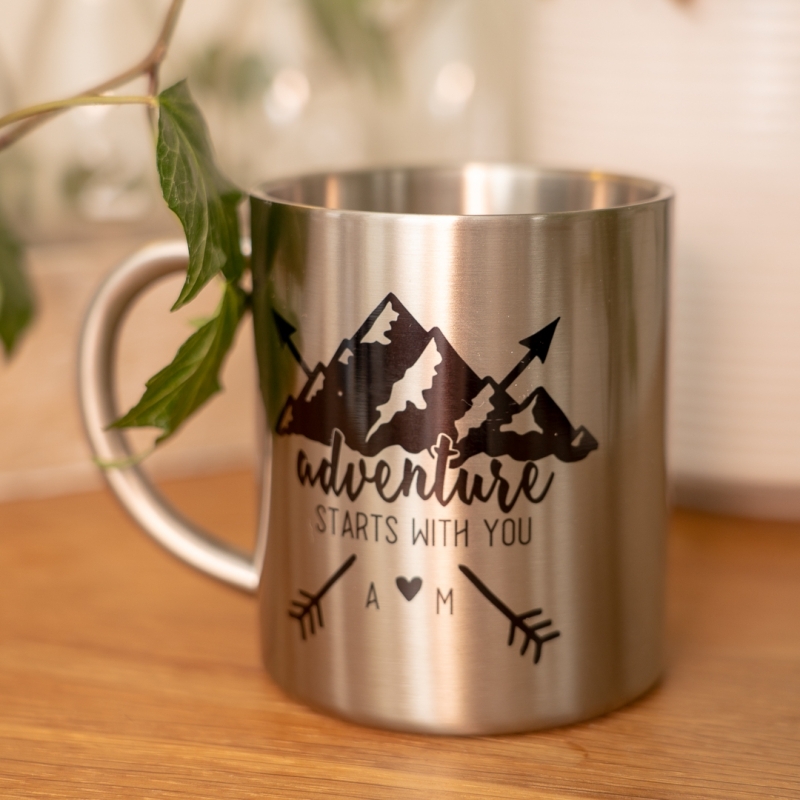 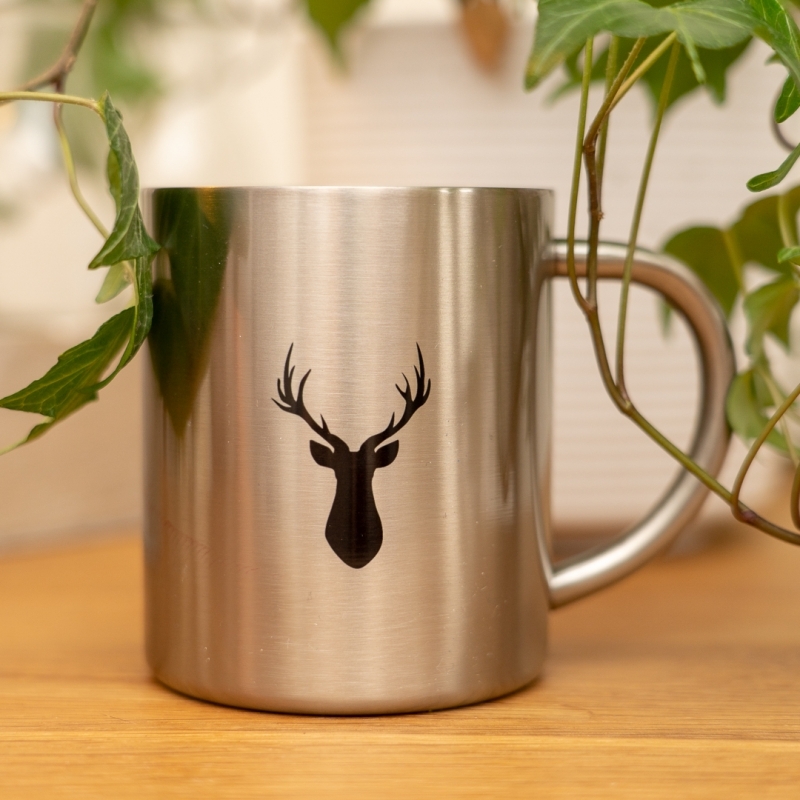 Stunning, handprinted stainless steel mug is perfect for lifes adventures or just reminding you of them and the special someone you have shared them with. 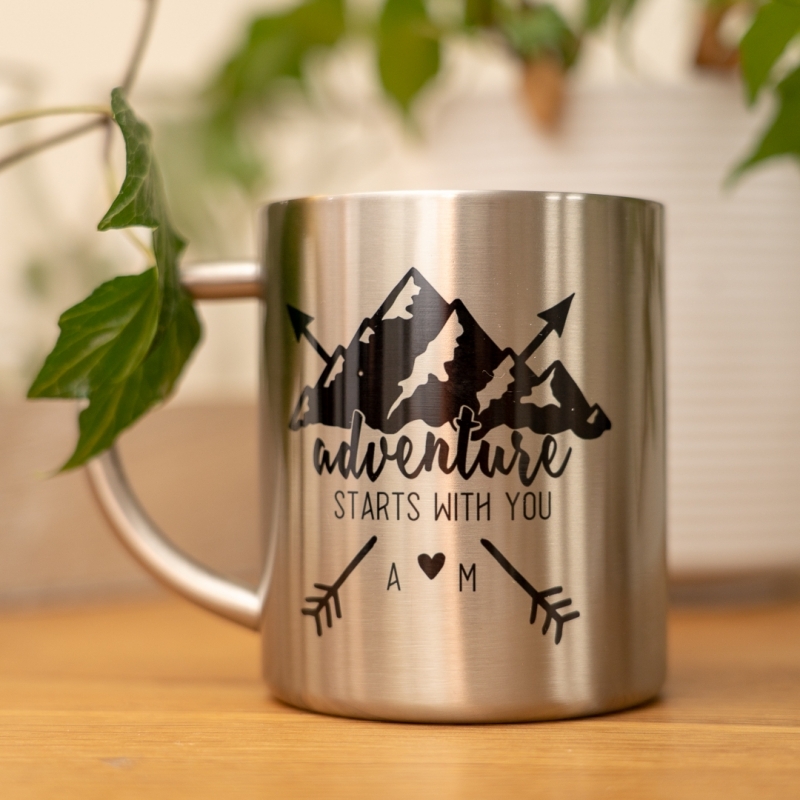 The mug features a stylish design with the option for you to put the initials of yourself and a loved one and a small motif on the back. 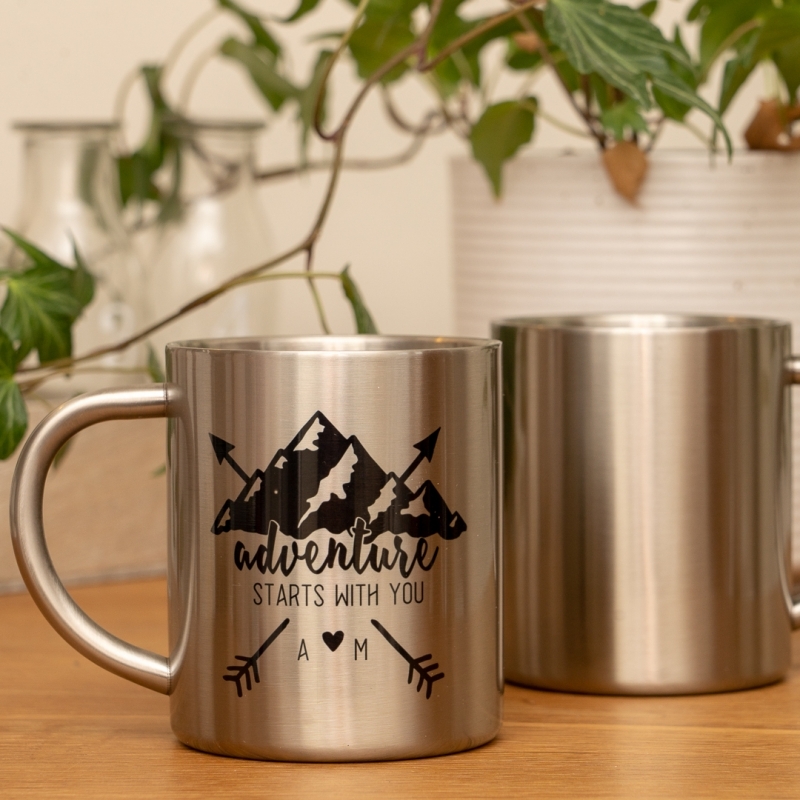 These include a camping tent, a pair of skis, a stag head or a bear. 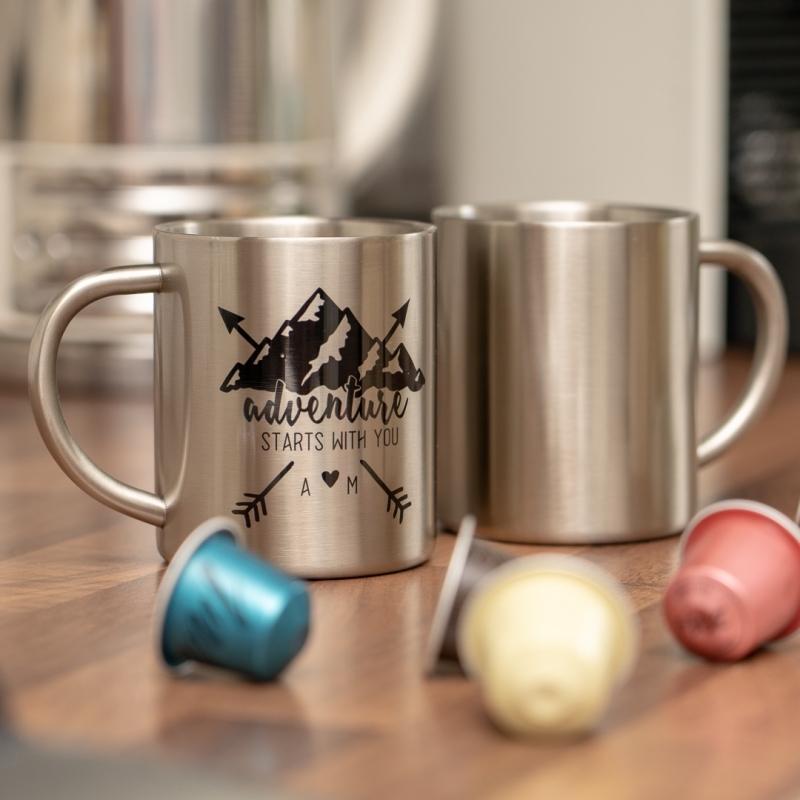 It's lightweight making it perfect for your warm brew on ski or camping trips or just for day to day use. A thoughtful reusable gift for your adventure buddy.